Welcome to Free Pattern Friday! I asked my daughter what type of pattern I should look up and she said PIGS so, there you have it! 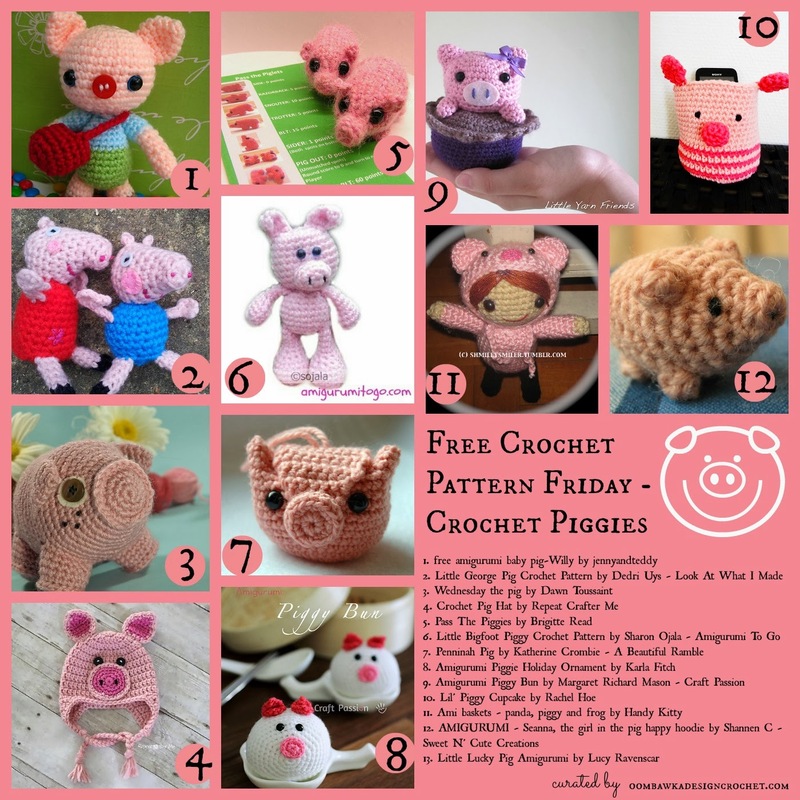 This free pattern roundup includes 12 cute pig crochet patterns. You will find fun amigurumi projects to make, as well as, pig hats! This week’s category (chosen by Darla) is: Crochet Pigs! All images are the credit of the Designer specified in the individual Pattern Links unless otherwise noted. This is my favorite free pattern friday post. I love your blog and have signed up 🙂 pinterest, faccebook, google+ and email. woot!